The implementation of a PBS holds significant advantages over that of other public transport projects. The cost of a PBS is small and the time it takes from conceptualization to implementation is short, especially in comparison with other transportation projects. 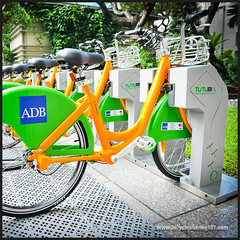 A PBS is a conceivable and implementable project for a city or regional leader during their tenure in office. Many such leaders want to leave a legacy, something they are known for and remembered for long after they have left office. 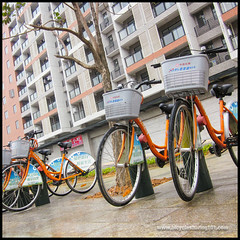 Chinese cities, particularly, have implemented many public bicycle sharing projects in very short time frames. 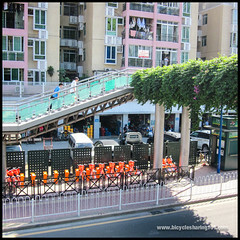 Guangzhou made its system a reality in only three months, in time for the Asian Games. 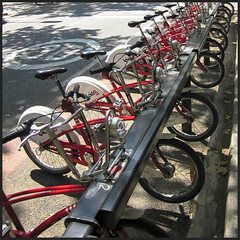 Elsewhere, the time frames are measured more realistically in years: José García Cebrián, head of urban planning and housing at Seville’s city council: “We had to produce results within our four-year electoral term, otherwise the scheme would amount to little and the investment made would be rendered useless. Designing, constructing and implementing this large project within four years created upheaval. At the time, many people cursed us, but when it was done few could deny that we had achieved something unique.” (Cruz, 2011). 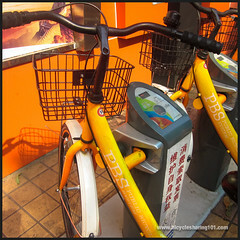 The photographs and figures below illustrate some of the aspects of the ‘Inception’ chapter in the book Bicycle Sharing 101: Getting the Wheels Turning. They are meant to be viewed in the context of reading that chapter. 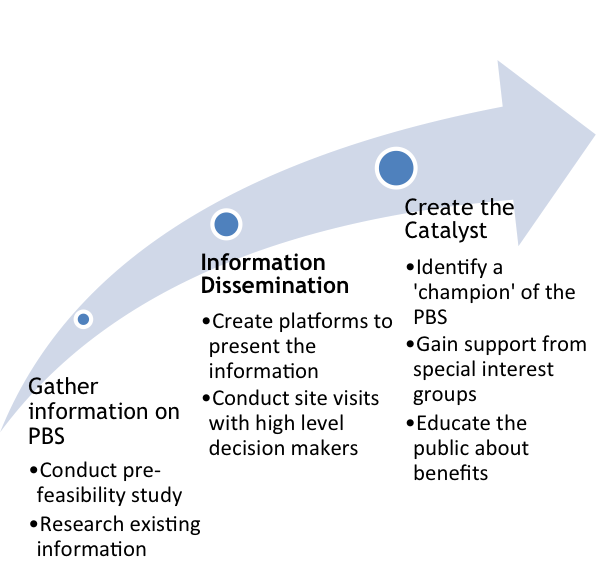 FIG 1: The diagram below show the process of raising awareness. Awareness-raising is a process that starts with the initial goal of catalyzing a champion and then to ongoing goals of general information dissemination and support procurement from the public at large. 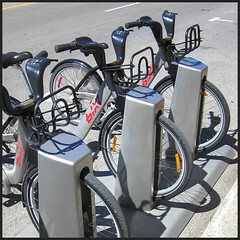 Therefore a planned awareness-raising rollout can lead to a successful campaign to promote PBS in a city or community. FIG 2: The table below shows one example of where a PBS might be placed within a typical government agency structure. FIG 3: The table below shows some of the key factors to consider and data to be collected through the feasibility study.